Do You Suffer From Chronic Low Back Pain? Non-surgical spinal decompression may be for you! 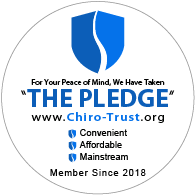 A non-surgical technique that reduces pressure on the discs that rest between the vertebrae. Dr. Jerold Kaminsky, D.C. and his wife Dr. Debra Garofalo-Kaminsky provide both excellent and experienced chiropractic care for families living in and around the Wyckoff, NJ area. With a wide range of treatment options, we strive to relieve your pain with non invasive procedures that treat the source of your pain, not just cover it up with pain medications. 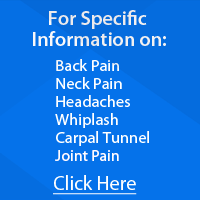 If you or a loved one suffers from pain, then you have come to the right place! Dr. Jerold Kaminsky and his wife, Dr. Debra Garofalo-Kaminsky have been serving the community of Wyckoff, NJ. They look for the "root cause" of your pain, rather than just treating the symptoms. Many chronic low back pain sufferers have opted for non surgical spinal decompression to relieve their pain. This technology has been shown to help with Chronic Back Pain, Sciatica, Herniated Disc, Bulging Disc, Spinal Stenosis, or Pinched Nerve. At Wyckoff Family Chiropractic we educate our patients on how the body works, and its ability to heal. Read our patients' testimonials to hear how we help to eliminate pain and restore quality of life. Real patient reviews from our patients! I have Dr. Jerold Kaminsky as my chiropractor. Well, he helped me get my hips back into place because I couldn't walk right for 2 years after I had back and neck surgery. Everyone here in the office is wonderful. If I need something they have it here for me, they accommodate me.Everyone here is really wonderful. It's the best chiropractor clinic that I have ever been to. They are friendly, they care about you, and anything you need they help you out. And I will be coming here now for as long as I need to. Everybody is just great. That's all I can say. Thank you. Dr. Kaminsky is a consummate professional whose people skills are just as impressive as his chiropractic acumen. When I met Dr. K I was experiencing intense and chronic pain from a C6/C7 impingement. Several fingers were numb and I was quite debilitated and frankly, unable to function at anything close to normal. After initial scans, we caucused on my predicament and opted for a regimen of cervical decompression, adjustment and ice with neuro-stimulation. It took approximately 3 months of 3 times per week sessions, but my pain abated completely and i regained full feeling/usage of all extremities and digits. During the treatment process, Dr. K. was always affable, quick with a witticism, and answered any questions or concerns with thoughtful reflection. I was very grateful to always be a partner in this process, rather than simply being told what to do in combating my injury. I would highly recommend Dr. Kaminsky to anyone seeking chiropractic treatment. Great staff and doctors, work with you to address your problems and get you feeling better fast. Super positive feel and very little wait to get treatments. Been to many chiropractors and this has been the best experience by far! I have been experiencing back pain since I was a teenager. At times it was completely unbearable. I am so grateful to Dr. Kaminsky for helping my back. he is attentive and compassionate to my pain problems. I finally am able to move around day to day without constant pain. Thank you so much for making me feel human again! I was suffering with headaches and Dr. Debra gave me relief. I always knew I was in good hands when I went to her. Both she and Dr. Jerry were very caring and professional. I highly recommend them. Very nice, well-equipped facility. Dr. Kaminsky was very compassionate and explained in detail what my problem was and what he was going to do to fix it. Would highly recommend. Dr. Kaminsky is a highly skilled and compassionate doctor. Made me feel very comfortable and helped me get rid of my sciatic pain which has been bothering me for years and nothing else seemed to help.